Valid for services only. No cash back. 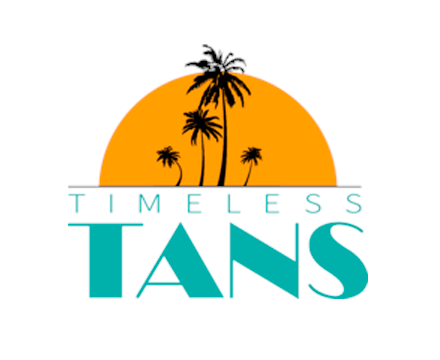 Welcome to Timeless Tans, the salon that Wilmingtonians and UNCW students have turned to for all their tanning needs since 2006. We are not a big chain like our competitors. We are the place the locals go to be pampered. Since we are not a chain we are able to provide clients with the individual care and services they need but at a fraction of the cost. We have an ultra-clean, luxurious tanning environment to impress even the most demanding of customers. Our salon maintains a contemporary design with open ceilings and soothing colors for complete relaxation. We offer state-of-the-art UV and UV-free equipment. With brands such as Ergoline, Norvell, SunAngel and Versaspa Pro, our customers can be sure to get a better tan in half the time! Our spray tanning services are the best in the area. We also carry an abundance of products including Designer Skin, Devoted Creations, Hempz, and much more. We have all the necessities that you need to reach your tanning goals!